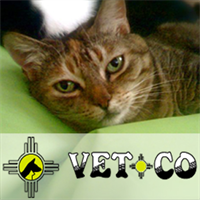 Vetco offers quality vet care at affordable prices for cats and dogs. Our vets have over 75 years of combined veterinary experience. Affordable surgery is our specialty, offering spays, neuters and declaws. We also have daily walk-in shot clinics to help keep your pets vaccinations up to date. Visit our website for even more discounts on our services on the promotions page. With locations in Albuquerque and Los Lunas we can spay, neuter and vaccinate your cat or dog today! Call or email us today to schedule an appointment or discuss your pets needs.